Arranging your dental office is not easy at all. There are so many options to explore and you can almost never test them for yourself. Pictures are just not enough. This is why we launched FONA AR – YOUR VIRTUAL DENTAL CLINIC. FONA AR is a new revolutionary mobile app that will change the way dental equipment is presented. No more flipping through endless catalogue pages! 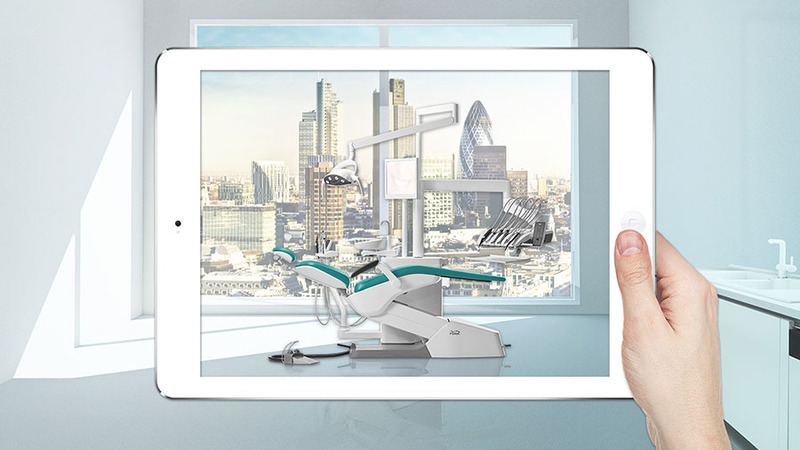 FONA AR lets you see FONA dental equipment in the way it would look and fit in your own office. As of now, you are no longer limited to what 2D pictures will show you – and what they won’t. With FONA AR you can review every FONA product in high quality 3D. You can see every detail from every possible point of view, every featured product in their actual size. And you can see them from within your office– on the screen of your mobile device. FONA AR helps you make right decision and purchase the right product to fit your dental office. And best of all – it’s completely free! Download the latest version of FONA AR to your smartphone or tablet. To see FONA products in real scale, download and print out the marker. Scan the marker with the FONA AR app and see the top notch dental equipment right in your dental office. FONA IS NOW CLOSER TO YOU THAN EVER BEFORE!